Mmmmm, port! I adore tawny port. Especially with chocolate. Especially with white-frosting chocolate-cupcake cupcakes :). The perfect way to end a long Friday. 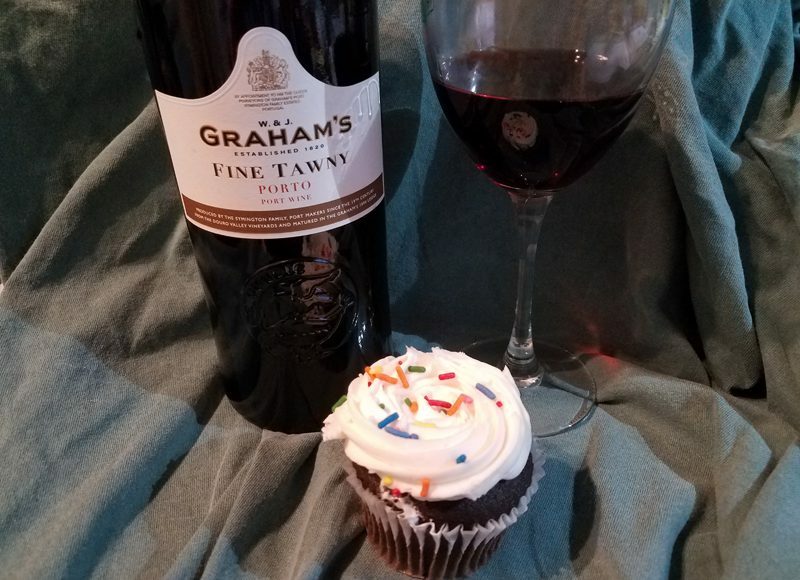 This is a W. & J. Graham's Fine Tawny Porto :).